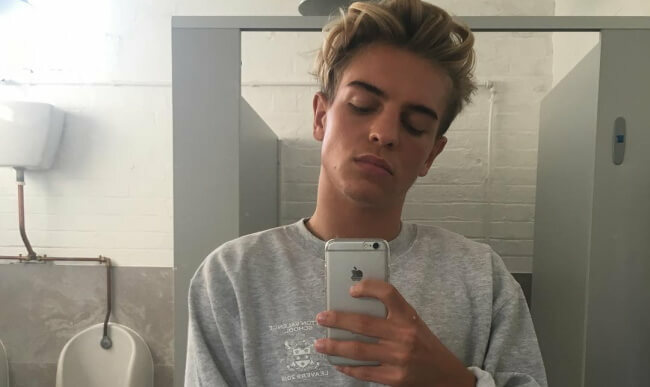 Fans Are Wondering: What’s Up With X-Factor Star Freddy Parker’s Bulge? Freddy Parker, an 18-year-old singer, was a contestant on this year’s U.K. edition of “X-Factor”. But today, we’re not here to talk about his voice – we’re here to talk about his bulge. Also See: 11 Photos That Show Nick Sandell’s Bulge Is Just… Too Big? Earlier this week, Freddy was performing at the famous G-A-Y nightclub in London. Before the show, he was so excited (hmm, “excited”), that he posted a playful video on his Instagram account, of him leaping on the bed. CHECKED INTO LONDON w @georgiaroses excited for my gig tonight at G-A-Y heaven, who wants to come? !